Out of the country? Living under a rock? Here’s what you missed in the 13th week of Pac-12 basketball. Arizona is once again the unanimous number one in our weekly power rankings, but no team beyond them is completely agreed upon. Check the results below to see the jumbled mess that is the Pac-12. Best Game – Oregon @ Arizona: While Arizona State saw one game go to overtime and another featuring a 23-point comeback, the excitement on Thursday night in Tucson was unmatched throughout the league in week 13. Desperate for a win, Oregon came out firing on all cylinders, answering each of #2 Arizona’s mini-runs and eventually taking a 38-37 lead into the locker room at the half. The Ducks opened up a lead as big as seven in the second half but went dry down the stretch, an all-too-familiar scene for their fans. The Wildcats outscored the visitors 13-7 in the final five minutes to escape with a 67-65 win, lifting them to a 22-1 record on the season. Junior guard Nick Johnson led all scorers with 18 points in the victory, while Joseph Young and Jason Calliste paced Oregon with 14 apiece. With the sweep of the Oregon schools, the Cats remain as a solid one seed, while Oregon’s winless trip to the desert puts them on the wrong side of the NCAA Tournament bubble. With its high RPI, Oregon can still steal an at-large bid, but it needs to find a way to pull out these close games in the final month of the season. Five of its eight losses have come by four points or less, with four coming by two. 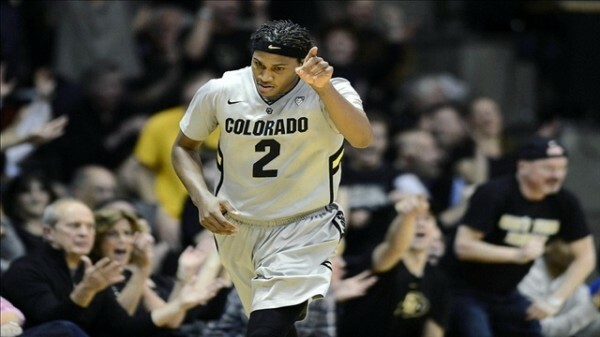 Team of the Week: Colorado – The Buffaloes began to exorcise their demons post-Dinwiddie this weekend when they hosted the Washington schools and put together their best back-to-back performances since their pint guard was injured against the Huskies back in January. Xavier Johnson led the way for the Buffs, having his best pair of games in his career and he got help from varied sources on each night. The Buffs now have a three-game winning streak on their hands, but this week will have to prove that they can go on the road – the Los Angeles schools loom – and earn some wins. 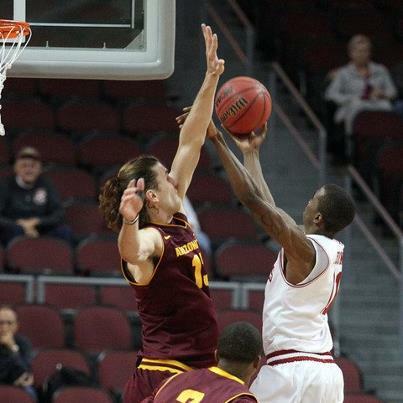 Player of the Week: Jordan Bachynski, Senior, Arizona State – Averaging eight blocks per game in a week is one thing – we have come to expect that kind of thing from the guy who is now the all-time leading shot blocker in conference history. Even averaging 12 rebounds per game for the week is not unheard of. But Bachynski has struggled with his offensive game throughout his time in Tempe. This week? Not so much. Not only did he averaged 21.5 points, but his 26 points against Oregon helped the Sun Devils finish off that win. And efficiency? His 15-for-20 for the field is impressive, but remember, this is a 7’2” dude scoring at the rim often. But a 13-for-16 (81.3%) stretch from the free throw line for a guy who was shot in the 50s for the first three years of his career is astounding. Newcomer of the Week: Joseph Young, Junior, Oregon – Young wins this award for the second straight week, largely on the basis of an unreal second half against Arizona State on Saturday. Twenty-nine points, four three-pointers, and 11-of-17 shooting helped his Ducks climb back from a 20-point halftime deficit. But, it’s was a bittersweet half for Young, as our Player of the Week Bachynski denied his attempt at the buzzer to keep the Ducks’ tailspin in full force. Freshman of the Week: Rondae Hollis-Jefferson, Freshman, Arizona – Stepping into a new role in the wake of Brandon Ashley’s injury, Hollis-Jefferson did not skip a beat. In his first weekend as a starter he recorded a career-high in points (16 against Oregon State on Sunday) as well as a double-double (his 14-point, 10-rebound performance against Oregon on Thursday). While he won’t entirely replace Ashley’s production, Hollis-Jefferson is quite a player in his own right. Upsets: There was only one surprising result in the conference this week, and it came on the first day of play. California fans were worried that its rivalry game with Stanford would be seen as a “letdown” for the team after beating top-ranked Arizona, and their suspicions were correct. The Golden Bears came out sluggish, and the red-hot Cardinal led by as many as 18 in the first half. They were able to pull within 50-45, but a quick 12-5 Stanford run erased any thoughts of a comeback. The final ended up being 80-69, putting both teams in a tie for fifth in the league standings. Upcoming Game of the Week: Arizona at Arizona State – Both teams have gone in different directions since their January 16 meeting in Tucson, when Arizona dominated for a 91-68 win. It’s not that the Wildcats have looked terrible, but they have suffered their first loss of the season in the time since, squeaked by for wins in the others, and of course, lost sophomore forward Brandon Ashley to a broken foot. On the other side is Arizona State, whose 5-1 record since the first playing of the Territorial Cup has put it on the right side of the NCAA Tournament bubble. So the question is, can “Big Brother Arizona” escape Tempe with the season sweep, or do the momentum-riding Sun Devils stay hot? This entry was posted on Wednesday, February 12th, 2014 at 12:01 pm by Connor Pelton (@ConnorPelton28) and Andrew Murawa (@AMurawa)	and is filed under microsites, pac 12. Tagged: andre johnson, arizona, arizona state, Brandon Ashley, california, colorado, Jason Calliste, jordan bachynski, joseph young, nick johnson, oregon, rondae hollis-jefferson, stanford. You can follow any responses to this entry through the RSS 2.0 feed. You can leave a response, or trackback from your own site. UCLA has the highest upside of any Pac-12 team moving forward – it also has the head scratching ability to lose to anyone if it plays uninspired. Bruins will make a decent showing in NCAA’s if LaVine and Alford play like they are capable. I was really high on the Cats until they lost Ashley – just not the same club without him.